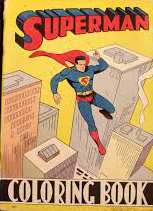 This is the coloring book which caused me to blow-out my red and blue crayons. As I poured over the book, I noticed at one point that it was published by Saalfield Publishing. That name rang a bell and I realized that I’d seen it before on the side of a building as my family would drive through Akron. Could it be that the people who made this book lived in the same city I did? Already thinking about getting into the comics business somehow someway, I remember making a mental note that these were people I should get to know. 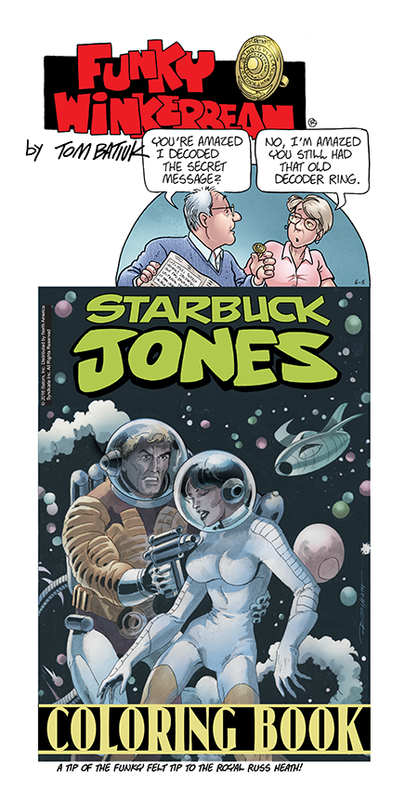 I never did that, but when it came time to create a Starbuck Jones coloring book in Funky, I “borrowed” the Saalfield lettering for my own book.